In advanced industrial countries we take much infrastructure for granted, such as cadastres with plots mapped at survey grade. In many countries, however, more than 70% of the land is outside the land register. Most people among the world’s poor do not have any official record at all of their land rights. This facilitates mass encroachments on their land and illegal evictions. It also impedes development by preventing the poor from obtaining bank loans and government subsidies. Cadasta Foundation, a nonprofit based in Washington, D.C., aims to empower people to claim their land rights by providing a cloud-based platform that they can use to collect, store, and analyze land-ownership data. It is about putting people, their rights, and their communities on the map, so that the benefits that come from more formal land rights extend to them as well,"says Noel Taylor, the organization’s co-founder and CEO. 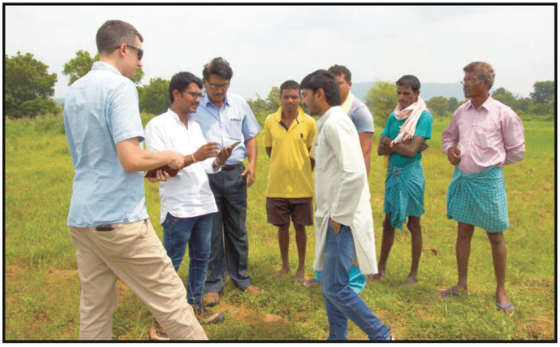 Frank Pichel of Cadasta assists Landesa staff and trained community members in using mobile applications for field data collection in Telangana, India, to help update the government’s land records. Credit: David Palomino, Cadasta. Taylor is a land surveyor with a background in cadastral surveying and improving the cadastral infrastructure of developing countries. He worked for many years for International Land Systems, Inc. (ILS), on World Bank, USAID, and other development projects around the world. With pretty much all of those projects, there has been a strong focus on the appropriate use of technology,”he says. A key challenge Taylor and his colleagues often faced was getting the initial data into the system, including people’s locations and their claims on land. The next challenge was helping governments improve the efficiency of their processes, increase their staff capacity, and make their systems–such as IT or geodetic infrastructure–sustainable. GPS and national-level geodetic systems figured heavily in many of these programs. We were fairly diverse and we were unique in the international arena, as a small U.S. company focusing heavily on these programs, with registry and cadastral solutions to put into those places." Frank Pichel, Cadasta’s co-founder and chief programs officer, also came out of ILS. He worked first at its headquarters in Silver Springs, Maryland, then switched to working in Ghana and managing the company’s projects in West Africa. In 2011, ILS was acquired by Manatron Inc., a developer of property tax and records management software, and then by Thomson Reuters. Not long after that,” Pichel recalls, “Noel and I departed and I spent a few years with USAID on their land tenure and property rights team. Taylor’s and Pichel’s work with governments to implement registry and cadastral solutions led to many successes. However, Pichel points out, these successes were not always sustainable in the long-term and did not necessarily improve people’s access to secure property rights. “It was still expensive for your rural inhabitant or slum dweller, still complex, still dominated by lawyers and surveyors who are not that much cheaper in emerging economies than they are in the United States,” he says. Cadasta was born partly in response to those challenges and in discussions, more than a decade ago, of a global repository of land rights information called OpenCadastreMap. There was recognition that, perhaps, collecting property-rights information at the lowest level, documenting it, and providing the infrastructure for securing it could be more successful,” says Pichel. Liban Golicha of Kivulini Trust, an NGO in Northern Kenya, works with a community leader to map and record evidence of pastorlists’ land claims in Northern Kenya. Credit: Marena Brinkhurst, Namati. Some level of government involvement is required in order for anyone’s land rights to be legally secured, Taylor acknowledges. However, in much of the world, particularly in the African continent, there are customary land tenure systems in place that are not part of the formal statutory system. In many countries, such as Guinea, the government is not able to recognize what is happening in the customary areas, where powerful families traditionally run villages and townships. To address this, Cadasta is working with communities and individuals who could collect the data if given the right tools. “We wanted to develop a platform that was accessible and easy to use and that did not require you to have an IT degree or be a licensed surveyor,” says Taylor. The key is to move people along a continuum, incrementally documenting their land rights. For this purpose, a sketch map with satellite imagery of imprecise boundaries may be a good enough starting point, says Pichel. Local partners can then improve on that data, if they choose, until they eventually meet their government’s requirements. Cadasta’s initial software build focused on three data sources. The first is mobile applications, such as Open Data Kit and Geo Open Data Kit. An external Bluetooth antenna can improve the accuracy of a mobile device’s GPS receiver down to two or three meters. The second is satellite imagery, which its partners always want and always have trouble getting, says Pichel. The third is an application called Fieldpapers that now integrates with Cadasta’s platform. “It allows you to print a base map using OpenStreetMap or satellite imagery backdrop at the scale you’d like,” Pichel explains. When printed out, a QR code appears in the corner of each sheet. This enables it to be imported back into the platform, together with any notes or boundary sketches made on it in the field and the extent’s geolocation, just by taking a photo of the sheet. Partners who lack the funds or bandwidth to use mobile devices in the field, or who find them distracting or intimidating, can use this system to collect data on paper. Cadasta’s platform is cloud-based and is hosted on Amazon Web Services. Users register, create their own private project workspaces, set up a data schema, and choose their privacy settings. This is very important because they are often collecting personally identifiable information. Users may choose to upload data from an existing source, enter it via a web interface, or send out a questionnaire to ODK or GeoODK for use in a tablet or a mobile phone. In some countries, Cadasta is working with government land agencies that do not want their data offshore; for this reason, it plans to eventually support those who want to host their own local instance of the platform. Vice versa, in many cases partners want to store the data in the cloud, off shore, to protect it from government encroachment, Taylor says. He cites the example of the Nigerian government setting fire to slums in Lagos and bulldozing them. Where it is vital to map and document land rights before bulldozers arrive, satellite imagery enables you to “show the before and after and paint a very clear picture,” he adds. Unlike some other platform providers, Cadasta has no claims on any of the data on its platform, nor on maps traced on DigitalGlobe satellite imagery, Taylor points out. As Taylor was co-founding Cadasta, he recruited Kate Chapman to be its chief technology officer; she’s been working at the intersection of web and mapping since 2003, when she graduated with a geography degree after switching from computer science. Habitat for Humanity wants to use Cadasta’s platform in informal urban settlements in the Dominican Republic to map the different types of land conflicts affecting various pockets of these informal areas. In India, Cadasta works with Landesa, an NGO that provides legal empowerment for the rural poor. 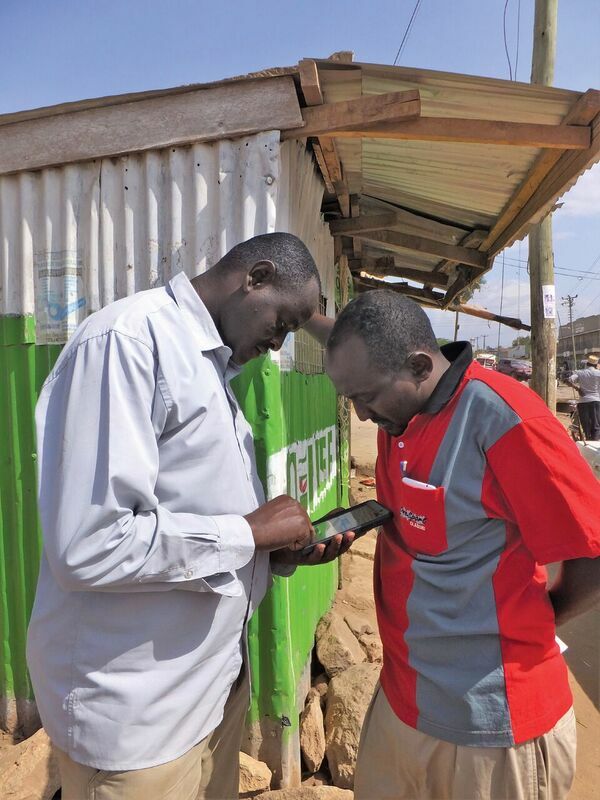 Landesa is using village-level resources to collect property data using mobile phones, in a form that the government can use to issue formal land certificates that enable small holder farmers to obtain agricultural subsidies. In many cases, says Taylor, these villages haven’t had the correct documents in place for decades. “We are working with Justice and Empowerment Initiative (JEI) in Nigeria using handheld GPS receivers to map the boundaries of communities: not the individual shacks, but the communities themselves, to do an overall tenure profile,” says Taylor. Another Cadasta partner in Bangladesh is collecting the locations of interviews it conducts with farmers as part of a government program, just using the coordinates from GPS receivers in phones. The government program then sends out surveyors to actually survey the individual land parcels themselves. In Tanzania and Indonesia, farmers use Cadasta’s platform to document a chain of sustainable sourcing for palm oil and other natural resources. Andrew Maki is one of the co-executive directors of JEI, a Nigerian human rights organization that focuses on empowering persons living in informal settlements to fight for dignity and development. “We are collaborating with Cadasta to do some baseline community mapping work around land tenure security in urban slums in Lagos,” Maki says. Lagos, a megacity of more than 20 million people, has very little land mass due to a lagoon, various marshes, and inland waterways. This–and its attractiveness as a source of relative prosperity in the region–generates enormous pressure on urban land. A lot of the land, particularly waterfront land where traditional fishing communities have existed for centuries, is now being looked upon by developers and the government as very desirable,” says Maki. JEI supports communities to document their own land tenure as a step in the process of protecting their land tenure rights. Many of these communities use customary land history to narrate their possession of land, rather than formal title documents. If you talk to anyone in government, they broadly say, ‘Everyone and everything in this space is illegal,’ which of course is not a true statement and is very problematic,” says Maki. Working with a community-based group, JEI conducted a participatory mapping process aimed at recording the history of these communities. All of this information will help us [...] infuse reality into the conversations about urban governance in Nigeria,” says Maki. Often, he argues, decisions about urban governance in Lagos take place behind closed doors and with hardly any consideration for the vast majority of people who may be affected. Cadasta’s online platform helps JEI organize, analyze, and map its data and prepare presentations to the government as a basis for discussion of ways to improve land management policies and practices. Like Cadasta, JEI helps communities collect land tenure information incrementally, starting at whatever level of formality and accuracy it exists, then improving it over time and using it as it become available. “You have to start somewhere,” says Maki. As Cadasta’s platform and JEI’s processes mature, Maki envisions the day when it will be able to output information that can be fed directly into a government cadastral system. Change will only come when people challenge and begin to redefine what type of data is legitimate. “The number-one problem that the communities that we work with face is the constant threat of eviction,” says Maki. The police will show up at two in the morning with bulldozers and just light thousands of houses on fire to try to chase people away. Due to this constant fear of evictions, the residents of these informal settlements do not bother to upgrade them, thereby perpetuating a downward spiral toward ever-lower standards of living. Courts in Nigeria don’t protect the fundamental right to property of extremely poor people either, even though it is enshrined in the Nigerian constitution. Nevertheless, JEI persists, “because you have to start somewhere,” says Maki. In the end, he argues, change will only come when people challenge and begin to redefine what type of data is legitimate. 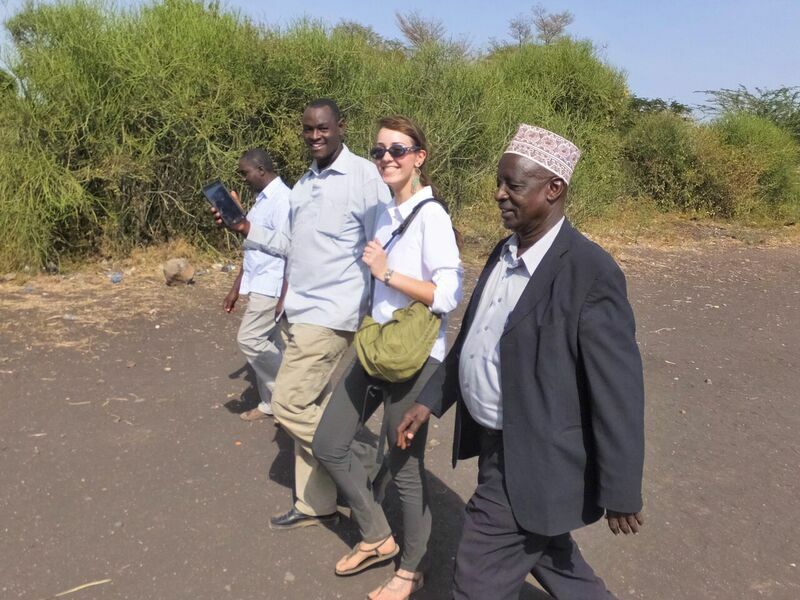 Marena Brinkhurst, program officer for the Community Land Protection Program at Namati, was trained as a natural resources manager. She then worked in community planning with indigenous communities, primarily in Canada, dealing with land-use planning, participatory community mapping, and economic-development planning in rural communities. The community land protection programstarted in 2009 to 2011 as a randomized controlled trial project to try to assess the most effective approach to supporting rural and indigenous communities to secure legal protection over their customary land. Vivek Maru founded Namati in 2011 and as part of its formation he recruited several different legal empowerment programs that were currently operating, including this trial. Namati provides technical support and training to national organizations that are doing the actual fieldwork with communities on the ground. 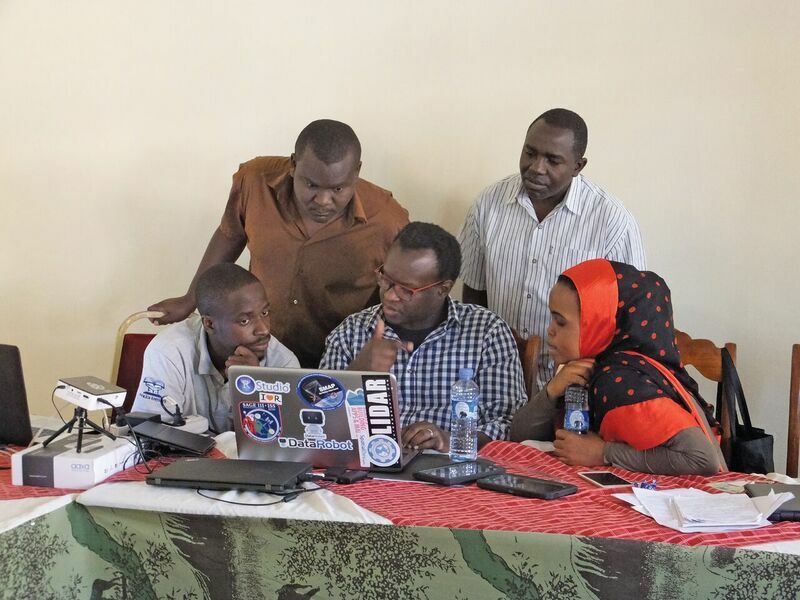 It trains them in legal education methods, as well as on various mapping techniques and technologies, and then helps them troubleshoot their projects and find creative solutions to challenges. For the first few years, Namati’s mapping component consisted primarily of “sketch mapping,” in which communities draw representations of how they understand their land, on the ground or on blank white paper. Namati wanted to explore different technologies and techniques for participatory mapping and community mapping that would allow it to move beyond sketch mapping. At that time, it was introduced to Cadasta, which was looking for partners who could pilot various use cases for the tools that they were building and wanted to figure out how to make them more accessible to nonprofits and community groups. Namati and Cadasta received joint funding from the Omidyar Network and began collaborating. “We use those funds and that partnership to support mapping efforts by two of our partners in Kenya and one in Zambia,” says Brinkhurst. Cadasta offers Namati a free, cloud-based system that enables it to keep the data its partners are collecting organized and safe and in a system that can be shared with a collaborative team.